This last week we had numerous days of snow showers. 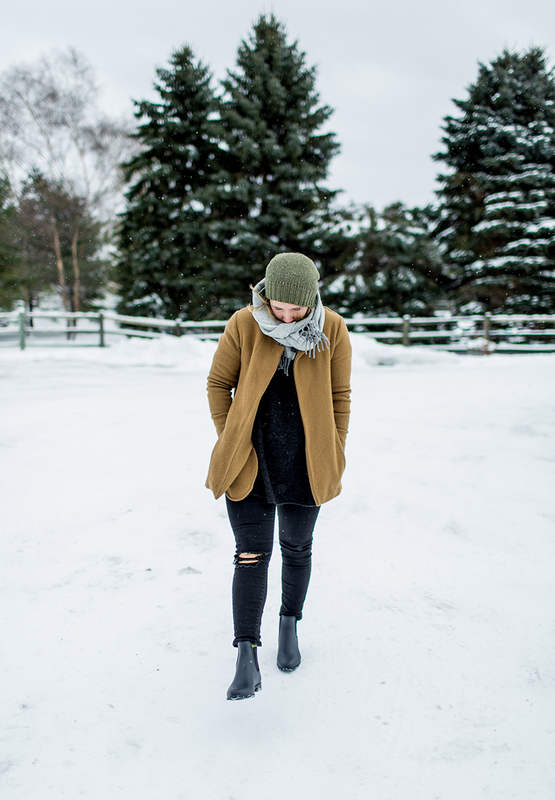 Some days it was the softest and prettiest glistening of snow and other times like giant white potato chips falling from the sky. 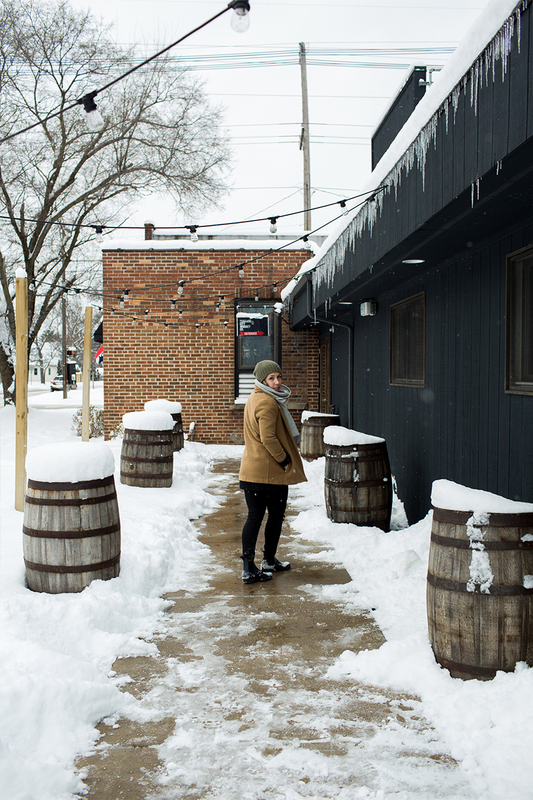 The combo left us in a complete winter wonderland and there is no doubt that winter is here to stay for a while and we couldn’t be more excited. 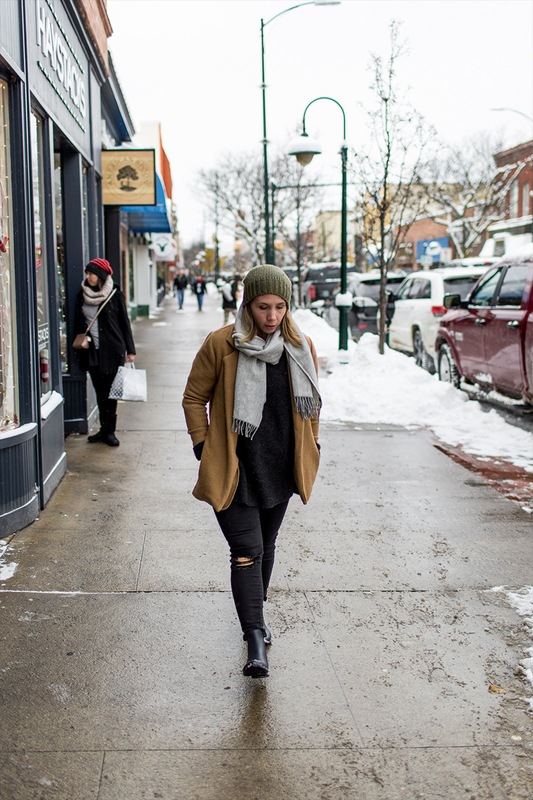 Traverse City is most known for its summer and fall weather and rightfully so because well it pretty much is amazing, but the hidden secret up here is the winter. 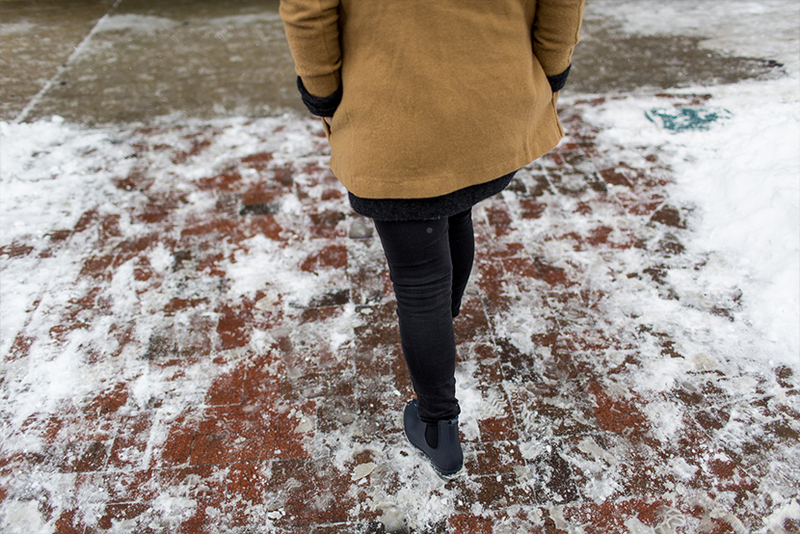 Sorry to let the cat out of the bag, but when we get winter here, we get winter and it is beautiful and though cold, it isn’t the kind of cold you often feel to your core. It reminds me similarly to the cold out west in the mountains of Utah and Colorado. You can easily get out and play, ski all day, and then be ready for just a little warm up later in the day from all the fun. 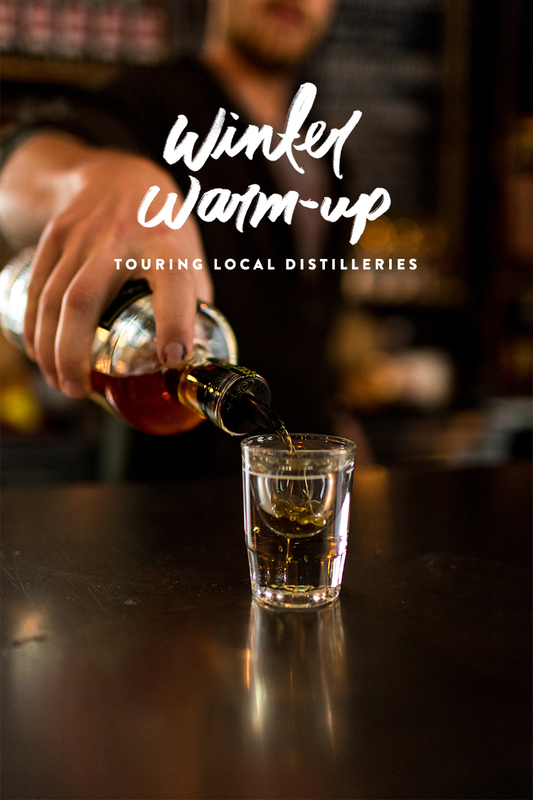 One of our favorite ways to get warm this time of year is to tour some of the local distilleries in the area. 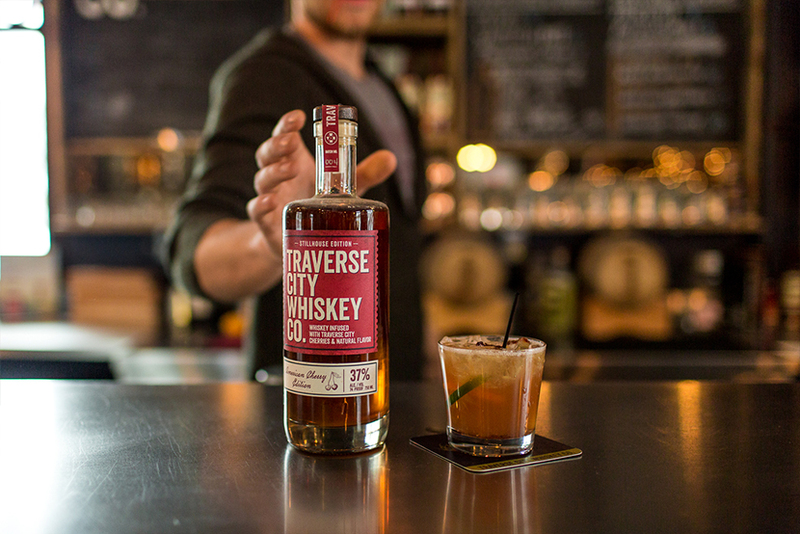 Traverse City and Leelanau County are known for their wines and beer and ciders, so it is no surprise that the collection of great distilleries is just as important not to miss when you are up here. 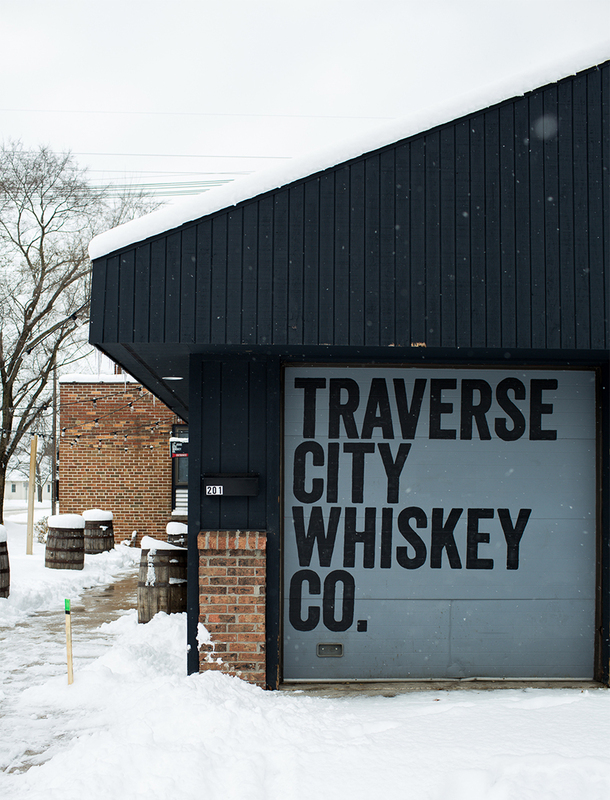 On the tour, our first stop was at one of our favorite tasting rooms and bars in town, Traverse City Whiskey Co. We actually picked up a few bottles during our tasting for gifts this year because they had some unique rye, port finished, and cherry (of course) options that were outstanding. 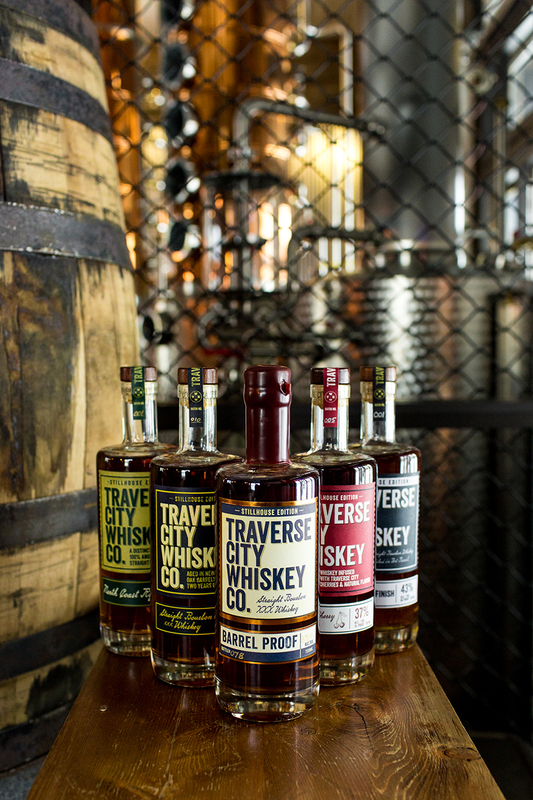 At their location in Traverse City, they store the whiskey and hold their stills on the premises, which you can see and wander through for a little self-guided tour. 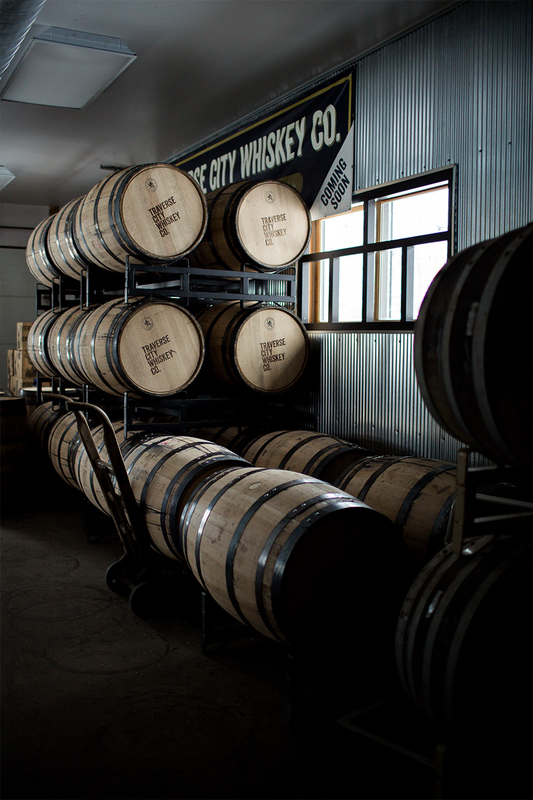 The barrels are beautiful in the storage area. 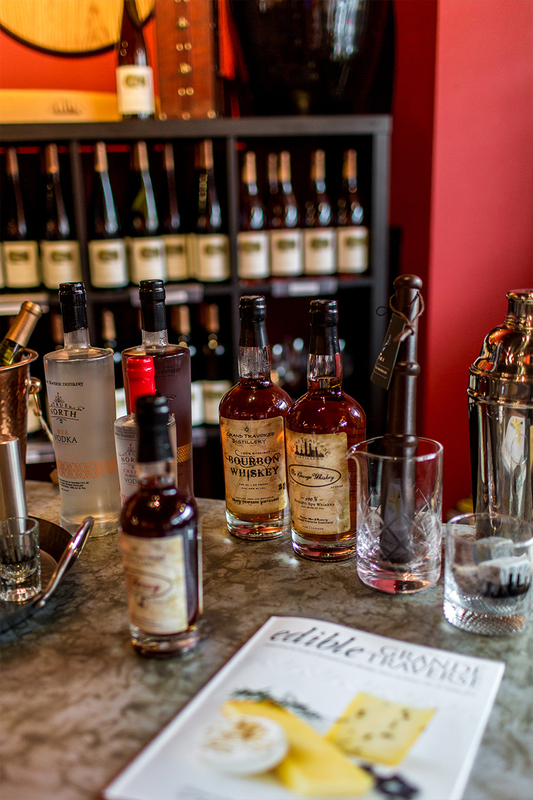 Of course, you can visit the bar for a tasting, but because they are focused on creating great whiskey, you can bet they know how to make amazing cocktails out of it as well. Sure enough, the bartender Arthur mixed us up one heck of a whiskey sour! They made all of the ingredients in-house for the drink, which I think is what made it so delicious. 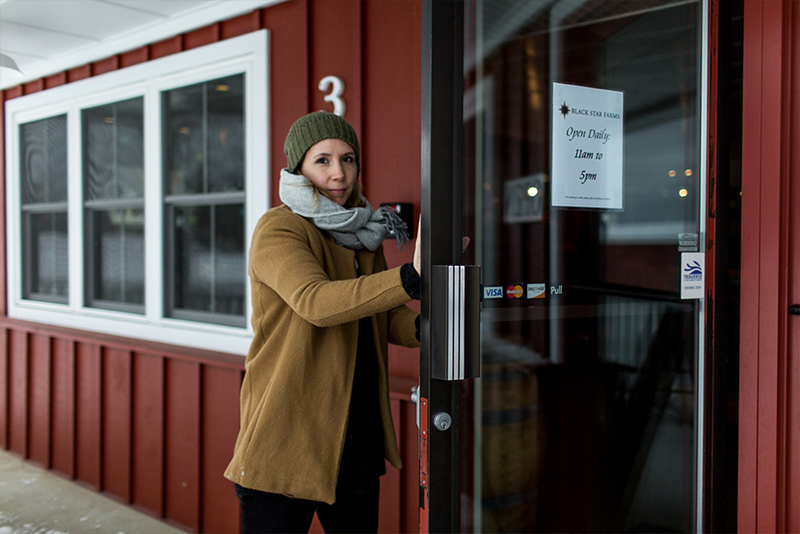 The tasting room is open from noon to 11 PM nearly every day so it is perfect for a boozy afternoon drink and warm up on a cold day in the middle of the winter, or a great night cap in their cozy bar area. 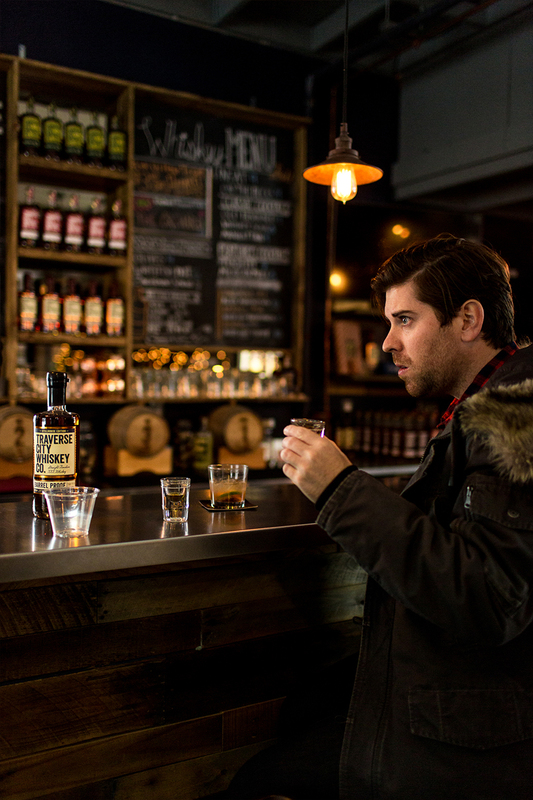 Mike wanted to try a few others to get an idea of what to get for our brothers and dads for Christmas, because you cannot go wrong with some good ole bourbon for a gift. 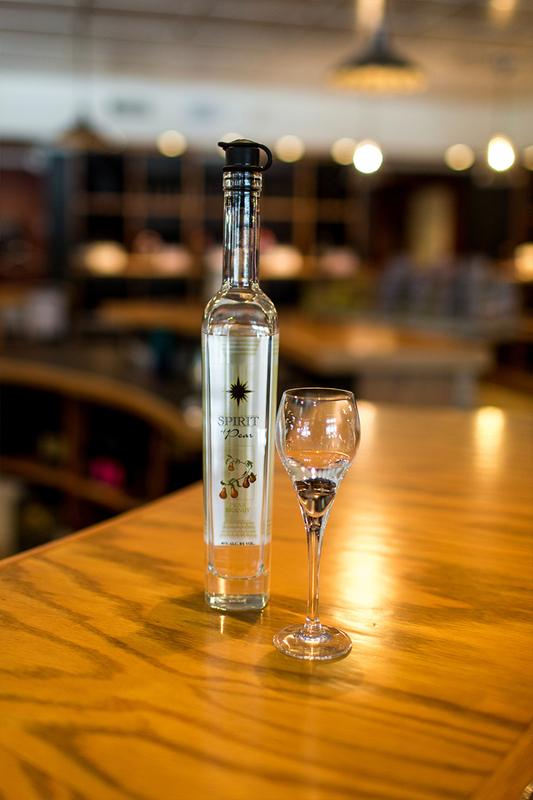 After we finished our drink and picked up our Christmas gifts, we headed downtown to Front Street to stop into Grand Traverse Distillery to try some of their talked about Vodkas. 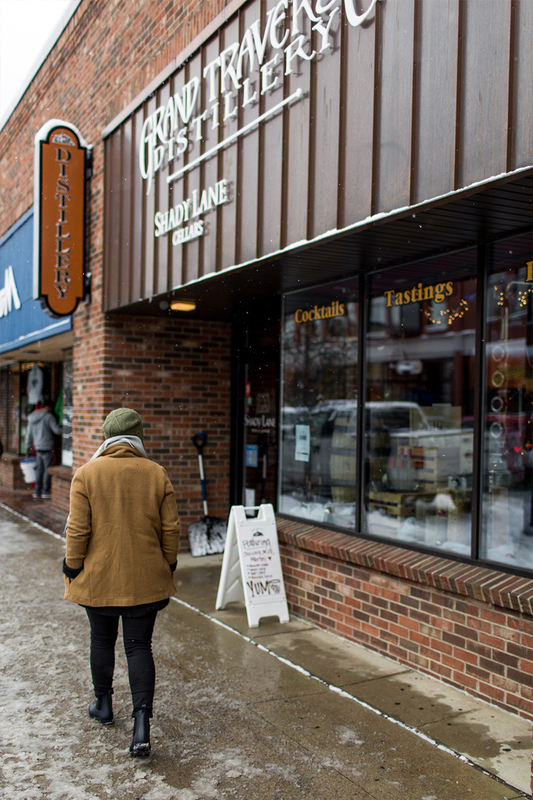 Downtown Traverse City was busy with holiday shoppers and even after the snow storm, the streets were easy to walk and wander without slipping all over. I have always found that the shop owners downtown do a great job making it safe for their customers. It makes it a great place to wander on a gloomy day. Since we were on a tour and we didn’t want to get too boozed up we switched off on who got their turn at the bar. 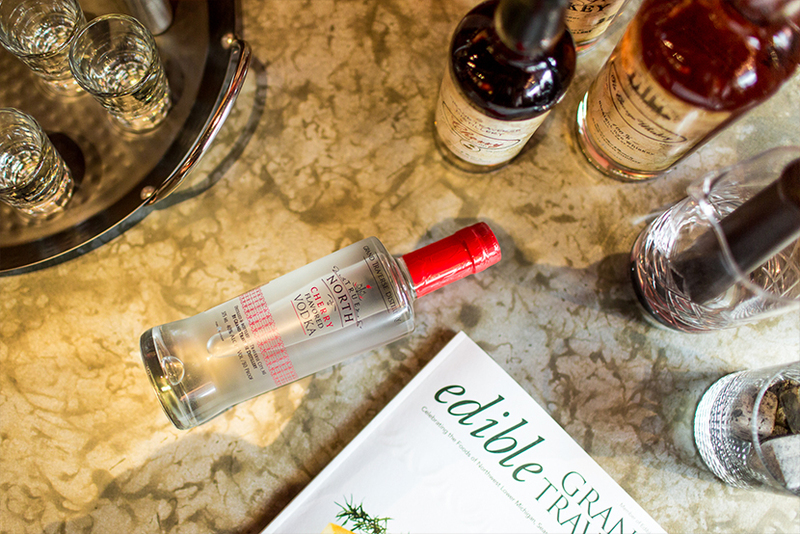 Everyone had told us that Grand Traverse Distillery does a great vodka. 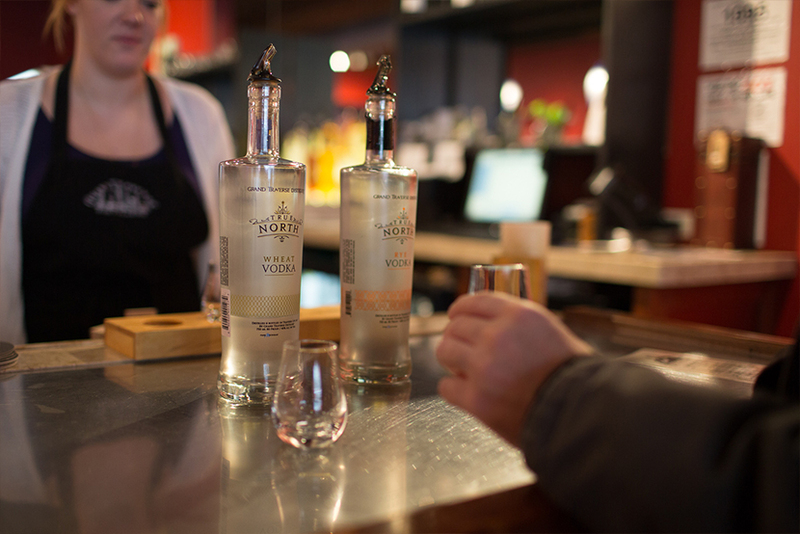 Mike did the tasting this time and he gave the thumbs up for their classic rye vodka. In case you didn’t know, they told us about how you can make vodka out of nearly everything and anything. I had no idea! 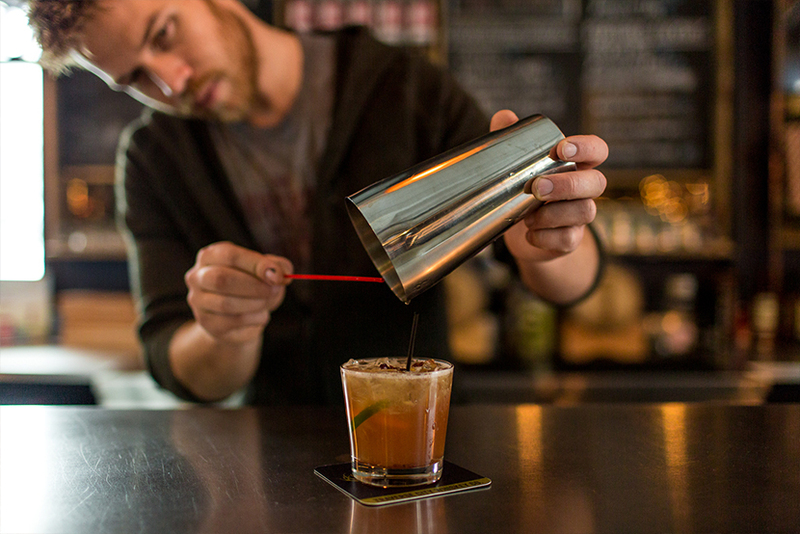 If you are looking for a great place to grab a casual drink before or after dinner downtown this is a great stop for a unique cocktail. They also have wine from local winery, Shady Lane Cellars as well if you aren’t in the mood for a cocktail. 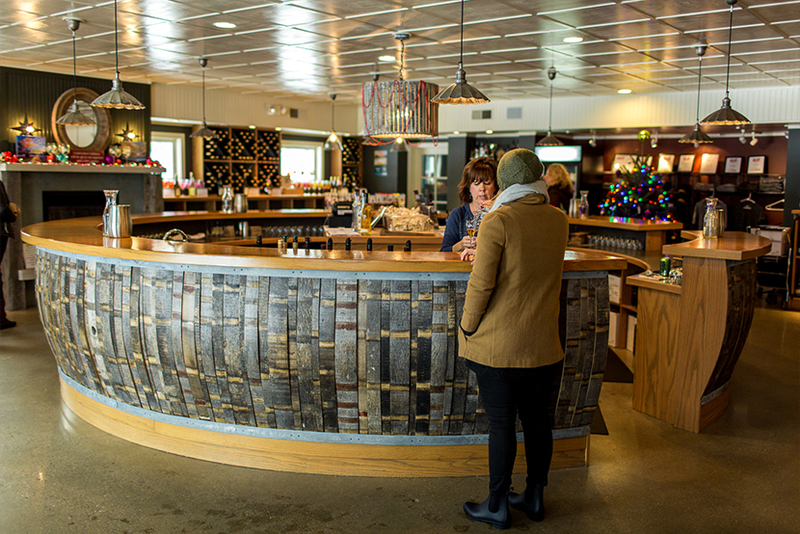 Before heading back home to the end of the peninsula we live on, we stopped into a local classic and staple to the wine and distillery tour routes: Black Star Farms. 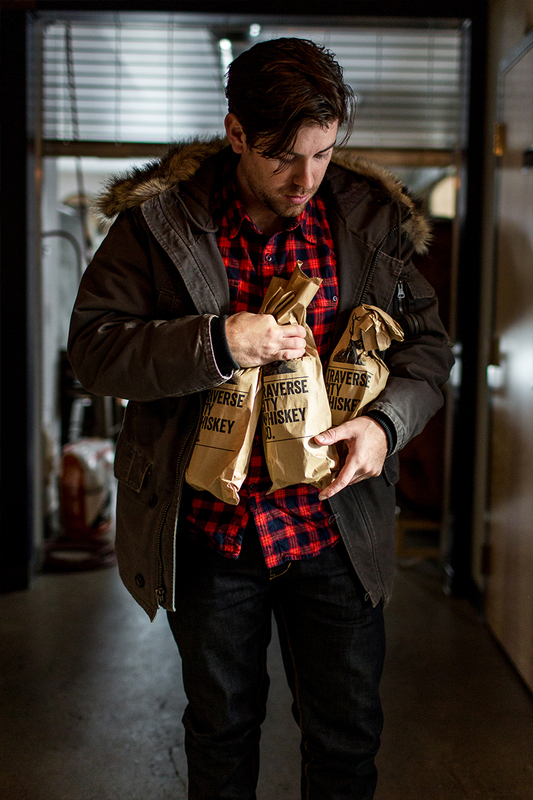 They have three tasting rooms in the area. The largest is out in Leelanau County just south of Suttons Bay (we pass is every time we go to the sailboat in the summer), but there is also one at the Commons and then this location at the base of Old Mission Peninsula. 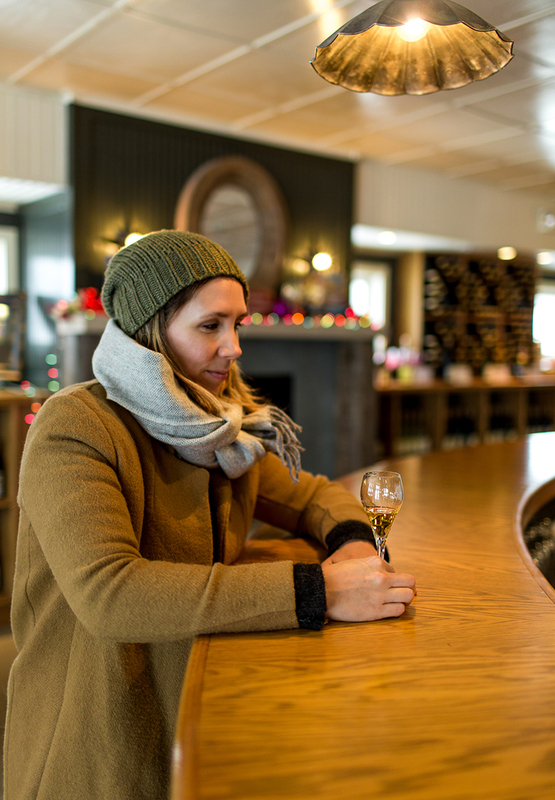 I had never been to this tasting room before and though slightly smaller, this location is warm and cozy with their big fireplace near the circular bar that emulates a wine barrel. 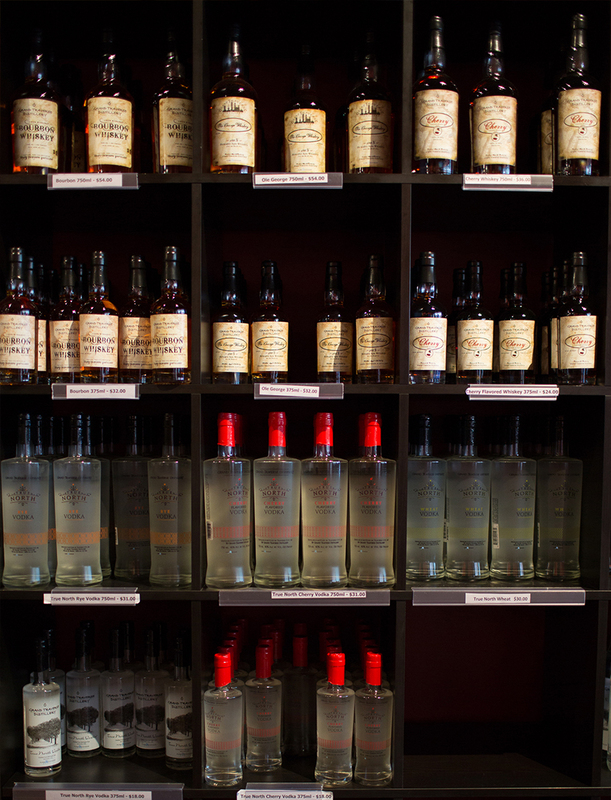 They have a few distilled fruit based Brandies and Eau De Vie. Eau De Vie is similar to a Grappa and is very strong, but easily mixable in a good cocktail. The brandy is very good and makes for a great evening sipper as a night cap. Before we left I had to ask about these Pear Spirits where the pear is actually in the bottle. 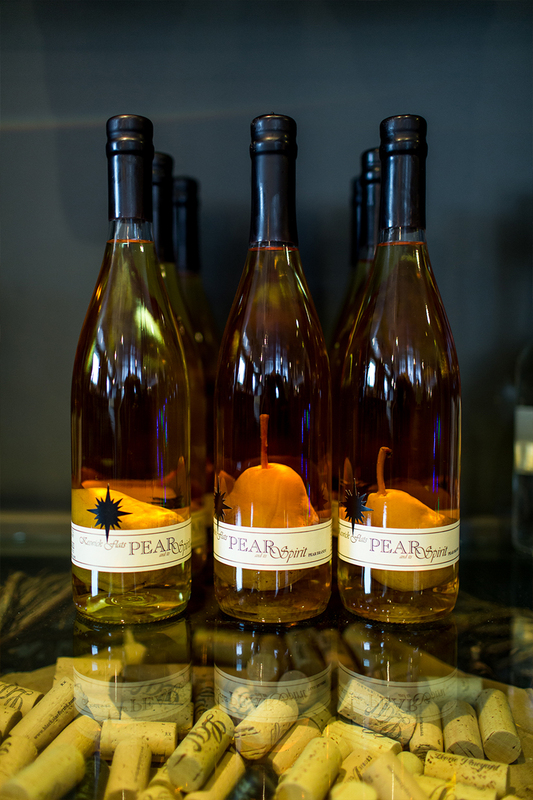 I was trying to figure out how they got the pear into the bottles. I will leave it a secret for now, but if you go they will tell you all about it! It is so interesting and has me wanting to try it sometime. 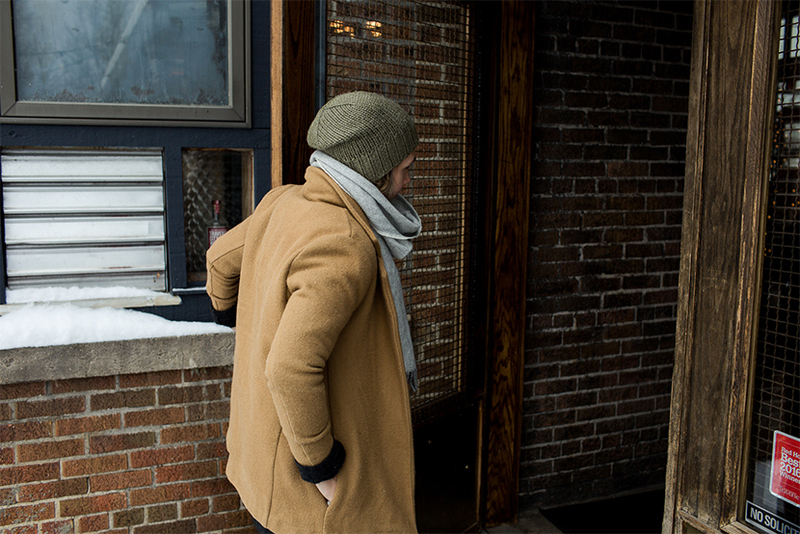 We headed back home on the snowy day warm from meeting such wonderful people while on our little tour and from the spirits we got to get some sips of. Though we didn’t get to visit all of the great distilleries in the area, we got a wonderful taste of some new to us and some old favorites. 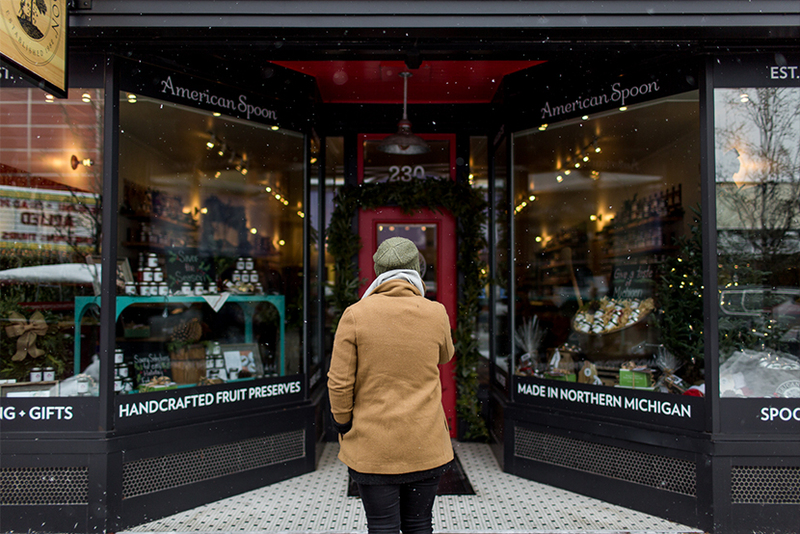 If you are hunting for a last minute gift this year and not sure what to get, Traverse City Tourism offers gift cards that work at any place that is a member of the tourism association, which includes lodging and restaurants in the area. You can find more info here. This post was sponsored by Traverse City Tourism. All thoughts and opinions are our own. Thank you for the supporting the brands that support The Fresh Exchange. I love this post! Great round-up of some cool stops. 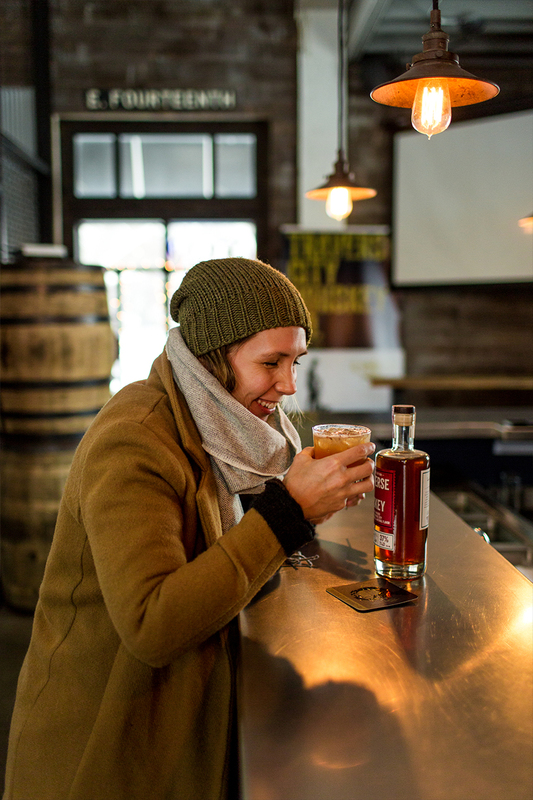 my fiance and i are getting married at journeyman distillery in three oaks, michigan in february. 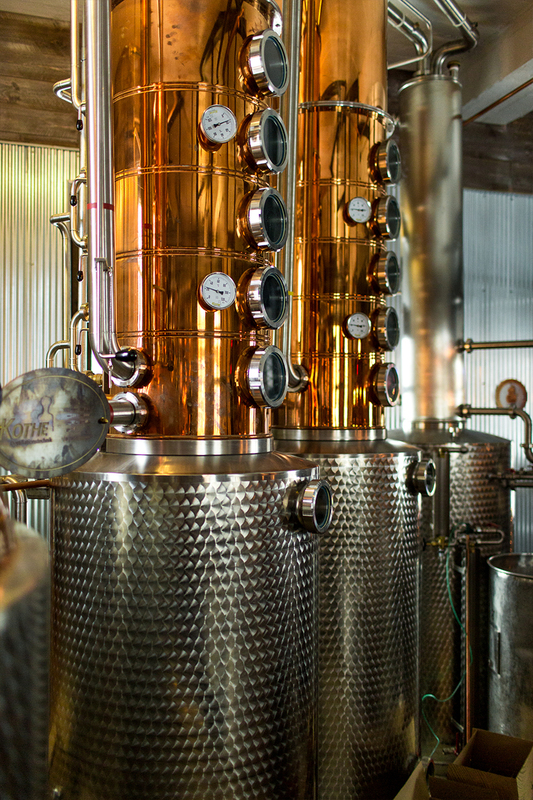 there are so many great distilleries in michigan! 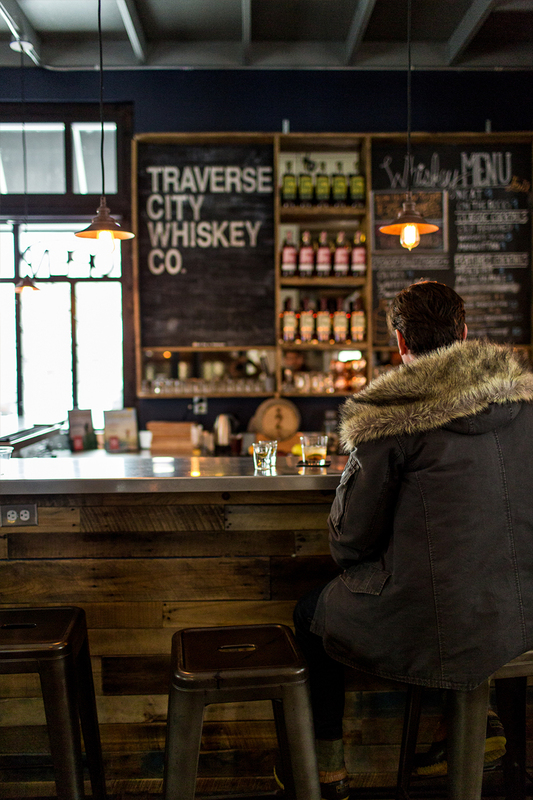 we are thinking of coming to traverse city for our honeymoon to ski, hike, and check out tc (we have never been). do you have any good recommendations of hotels, inns, or air bnb’s we SHOULD check out? I’m so in love with all the warm and cozy mood of this post. Can i come live with you?! Such a cool post! I love going to all these different distilleries, breweries, and vineyards! It’s recently starting to become a tradition for me and my husband to go to one of these places whenever we travel. I think it’s a good way, aside from RESTAURANTS, to experience the local culture. Michigan is such an awesome state!! ever been to ann arbor?